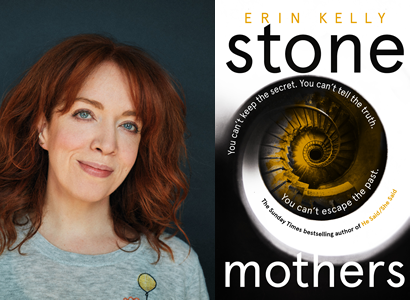 Join Erin Kelly, the bestselling author of He Said She Said, as she returns to Booka to talk about her gripping new suspense novel Stone Mothers. In Stone Mothers, Erin Kelly has written another cleverly crafted and thrillingly addictive novel full of unexpected twists and turns. Following the success of He Said She Said we’re delighted to welcome her back to Oswestry! Tickets: £5 (redeemable against a signed copy of Stone Mothers). Includes a glass of wine or soft drink on arrival. Tickets available from the bookshop or purchase online (with booking fee).